Earmuff Headphones and Touch Gloves for just $11.99 shipped! 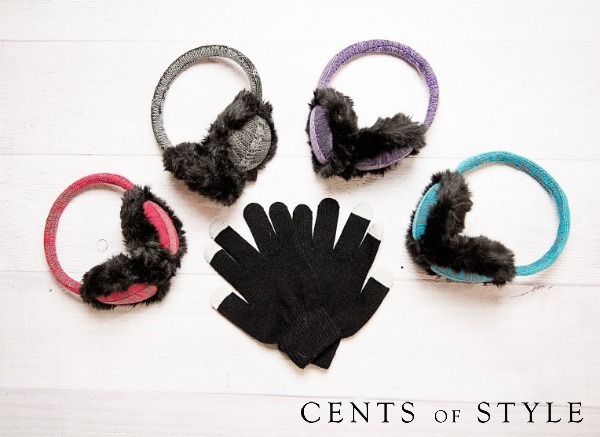 Through January 18, 2015, Cents of Style is offering a set of Earmuff Headphones and Touch Gloves for just $11.99 shipped when you use the coupon code DEAL2015 at checkout. These cute, fur-lined knit earmuffs conceal a pair of headphones that connect to your smartphone or MP3 player via cord, and come in several different colors. This set also comes with a pair of black touch gloves so you can talk, text, or listen to your music in warmth and style. This deal is valid through January 18, 2015.